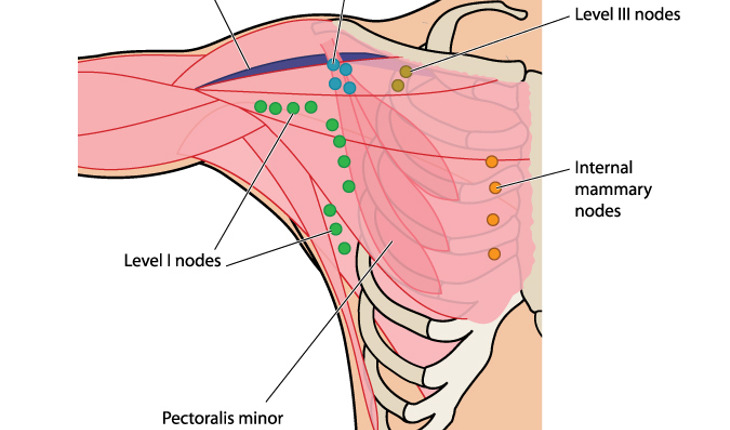 Which breast cancer patients need to have underarm lymph nodes removed? Mayo Clinic-led research is narrowing it down. A study published in the February 2015 issue of the Journal of Clinical Oncology finds that not all women with lymph node-positive breast cancer treated with chemotherapy before surgery need to have all of their underarm nodes taken out. Ultrasound is a useful tool for judging before breast cancer surgery whether chemotherapy eliminated cancer from the underarm lymph nodes, the researchers discovered. A release from the clinic notes that in the past surgeons routinely removed all of the underarm lymph nodes when breast cancer was discovered to have spread to them. However, taking out all of those lymph nodes may cause arm swelling called lymphedema and limit the arm’s range of motion. The current study finds that repeating ultrasound after chemotherapy is a reliable way to help determine whether surgeons should remove only a few lymph nodes and test them for cancer, sparing patients whose sentinel nodes are cancer-free the removal of all nodes in the armpit, or take out all of the nodes, Dr. Boughey says.